1. Home Loan Closure Letter: This letter summarize the home loan details of a seller e.g. Home Loan Agreement details, EMI details, Principal outstanding, overdue interest, total receivables etc. Please note that Foreclosure receivable amount / calculation is only valid till specific date mentioned in the Home Loan Closure letter. If there is delay in payment / registration then you need to obtain fresh Home Loan Closure Letter as the foreclosure receivable amount to close home loan of a seller will change after the due date mentioned in letter. 3. Original Documents with Bank: This document is very critical to close Home Loan of a seller as it mention list of all original documents of property handed over to bank by the seller for mortgage purpose. If the buyer is also availing Home Loan then he need to submit these documents with his/her home loan provider. This is most tricky part to close Home Loan of a seller especially (a) if buyer is also availing Home Loan and (b) Sale Agreement & Sale Deed value are different. Buyer need to work out all financial calculations much before registration as buyer need to inform his/her Home Loan provider the break up of payment cheques. A separate payment cheque/s are required to close Home Loan of a seller. In normal scenario, 4-5 cheques are required to make complete payment including outstanding principal payment to close Home Loan of a seller. Also note that buyer’s Home Loan provider will HOLD 10% of Home Loan amount till they receive original documents which are in custody of seller’s Home Loan provider. The amount on-hold is seller’s share in property transaction. Before property registration, buyer need to close Home Loan of a seller. As i mentioned, depending on principal outstanding & nature of transaction, payment to close home loan can be contributed by buyer or buyer’s home loan provider or by both. Before registration both buyer and seller will visit seller’s Home Loan provider branch. Full and Final Payment towards Home Loan of a seller will be paid through cheque / Banker’s cheque. 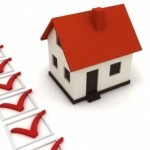 Seller’s Home Loan provider will issue original payment receipts which will be retained by the buyer. After that both buyer and seller will proceed for property registration. Most crucial step in entire process. Normally after full and final payment is made to close Home Loan of a seller, it will take 2-3 weeks for seller’s Home Loan provider to return original documents and issue NOC. It is advisable that buyer should collect original documents & NOC from seller’s Home Loan provider. The buyer should take Letter of Authorization from seller stating that seller is authorizing Mr X (buyer) to collect all original documents and NOC of seller’s Home Loan on his behalf. The seller should also submit copy of letter of authorization issued by him to his home loan provider or intimate in writing regarding same. Last but not least, the onus to collect original documents and NOC rests with buyer. Kindly check all documents thoroughly before signing acknowledgement. This is the last step to close Home Loan of a seller. After collecting original documents, buyer will submit these documents with his home loan provider. Buyer’s Home Loan provider will release balance 10% payment in the name of a seller. Also don’t forget to take acknowledgement from your home loan provider stating list of original documents submitted by you. It is important for buyer to take all necessary steps and precautions to close Home Loan of a seller. To mitigate risk of loss of original documents or any other risk, it is critical to take over home loan closure process. After full and final payment is made to close home loan of a seller, the entire risk rests with the buyer only.